The International Seafood Sustainability Foundation (ISSF) has issued an updated “snapshot” of Large-Scale Tuna Purse Seine Fishing Fleets as of June 2018, which shows about a three percent increase in the number of purse seine vessels worldwide since 2017. Having an accurate estimate of active vessels is critical for managing tuna fishing capacity regionally as well as globally — and preventing overfishing. 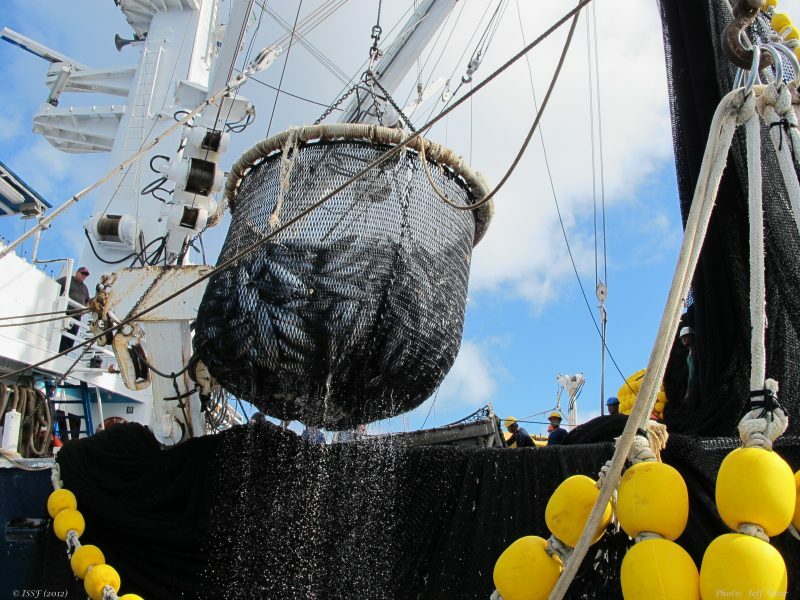 Although purse seine vessels account for over 60 percent of the world’s tuna catch, the exact number of authorized purse seine vessels is only known by searching multiple databases. To provide an annual updated best estimate, ISSF combs through and aggregates information from the five tuna Regional Fisheries Management Organization (RFMOs) and other sources. ISSF has calculated there were at least 1,871 purse seiners fishing for tuna worldwide as of June 2018, up from 1,815 in 2017. Around 673 (down from 685 last year) are defined as large-scale vessels targeting tropical tunas, with a combined fishing capacity of over 860,000 m3. 507 of those large-scale vessels are registered on the ISSF ProActive Vessel Register (PVR), which represent 75 percent in number and 82 percent in fish hold volume (FHV). About 25 percent of the 673 large-scale vessels are authorized to fish in more than one RFMO. The number of vessels with registered International Maritime Organization (IMO) numbers has also grown steadily and is now 60 percent overall for all gears combined; nearly 100 percent of the purse seine vessels listed on the ISSF ProActive Vessel Register have IMO numbers. ISSF has long recommended in its RFMO advocacy positions and in Conservation Measures 4.1 and 4.2 that vessels obtain IMO numbers, identifiers that do not change even if the vessel ownership, national registration, or name changes. Unique vessel identifiers (UVIs) like IMO numbers are an important tool to combat illegal, unreported and unregulated (IUU) fishing. View the updated report here. The International Seafood Sustainability Foundation (ISSF) is a global coalition of scientists, the tuna industry and World Wildlife Fund (WWF) — the world’s leading conservation organization — promoting science-based initiatives for the long-term conservation and sustainable use of tuna stocks, reducing bycatch and promoting ecosystem health. Helping global tuna fisheries meet sustainability criteria to achieve the Marine Stewardship Council certification standard — without conditions — is ISSF's ultimate objective. To learn more, visit https://iss-foundation.org/, and follow ISSF on Twitter, Facebook and Instagram.